Vikki is a Lecturer in Social Policy and Housing at the University of Stirling. Vikki's work has included extensive research on the role of front-line workers, users and volunteers and the policy process. This has included exploring front-line worker discretion, interpretations, activities and actions. Part of this work has been around bridging the gap between policy and practice. This has also included UK comparative analysis between Scotland, England and Wales. 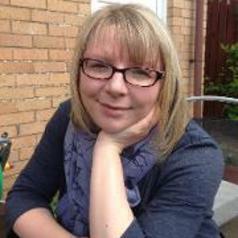 Vikki has a broad portfolio of social science teaching and research with the University of Stirling. Expertise includes housing, volunteers, devolution, poverty, inequality, gender, social problems, urban society and the cultural sector. Vikki has experience in lecturing on and conducting social research, comparative social research, qualitative and quantitative methods. Vikki has published work around social policy, online academic communities, social inclusion, museums, policy makers' perceptions of culture and cultural data. She is also a leader on e-learning and teaching through a variety of different mediums.